David Guillaume, President of CHRICHA, has been active in projects to better the lives of Haitians for sometime. In 1998, David created Children of Hope to help children in Haiti in response to his call from God to help the poor. His response at that time was: “How? I need to work and make money.” At the time, David owned a store but in answer to God’s call to devote his life to helping children, he worked part of his time in the store and the rest with his outreach. 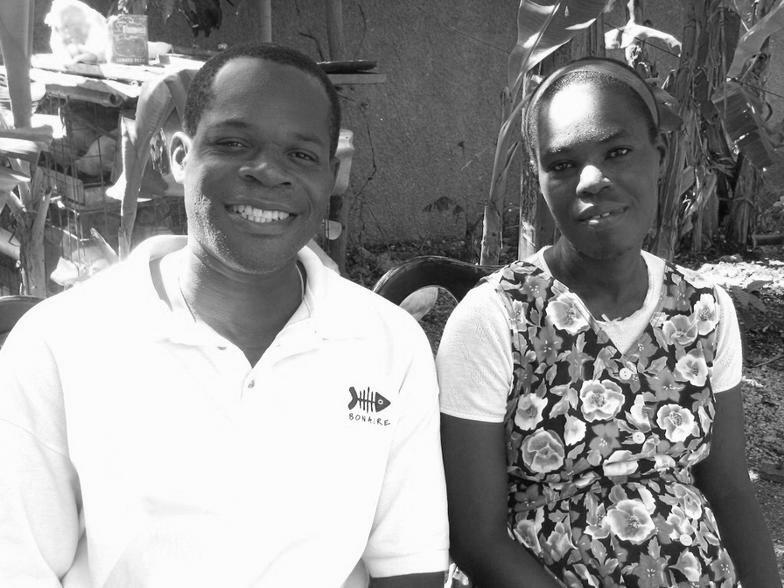 Other people were working for him who didn’t share the same Christian values, so he left and began CHRICHA, Christian Concern for Haiti, in 2003. David’s wife Daniella began working with David at CHRICHA. During the 2004 Haiti rebellion and coup, chaos erupted with looting. Many businesses were lost including David’s store/boutique. David was known in the community as someone who was interested in helping children. As food became scarce, David began receiving knocks on his door to help care for children whose parents had abandoned them. David ended up with 50 children. Help came from friends, churches, and others in CHRICHA. When food was very scarce, David knocked on doors asking for food for the children. In 2005, the violence subsided. Some of the parents returned and took back their children. David and Daniela married and shared their home with 25 children. In 2008, the boys and girls were separated into separate houses, and the boys moved to what is now called Unity House. David’s father Andre overseas Unity House with the care of a loving grandfather. David and Danny care for 35 children/young adults today. David says that because of poverty, solidarity among people is strong in Haiti. People help each other. He is doing what he has been called to do – care for the poor, care for the children, and teach them Christian principles to grow in Christ and care for others. Prayer, praise, and thanks to God are the organizing principles of each day.